Halloween is almost here. Costumes. Candy. Trick or Treating. All the fun stuff. Getting everything ready for Halloween is not always so fun. Don’t fret! 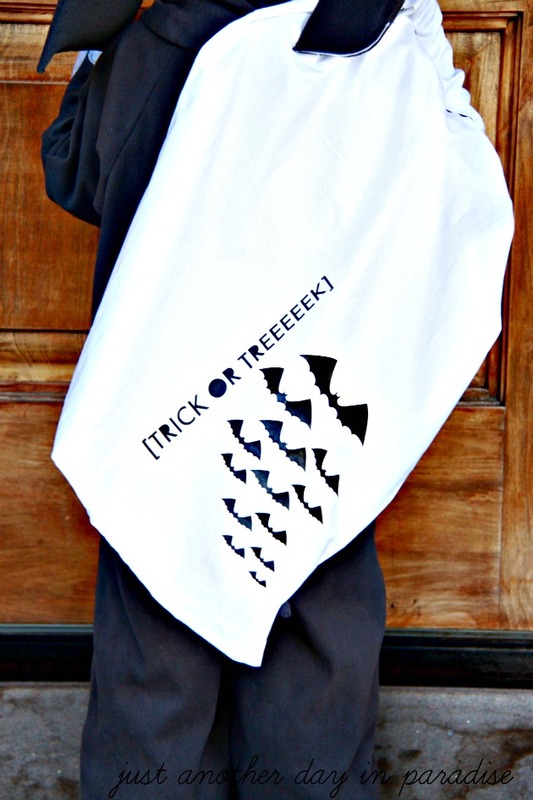 This Pillow Case Trick or Treat Bag is easy to make. 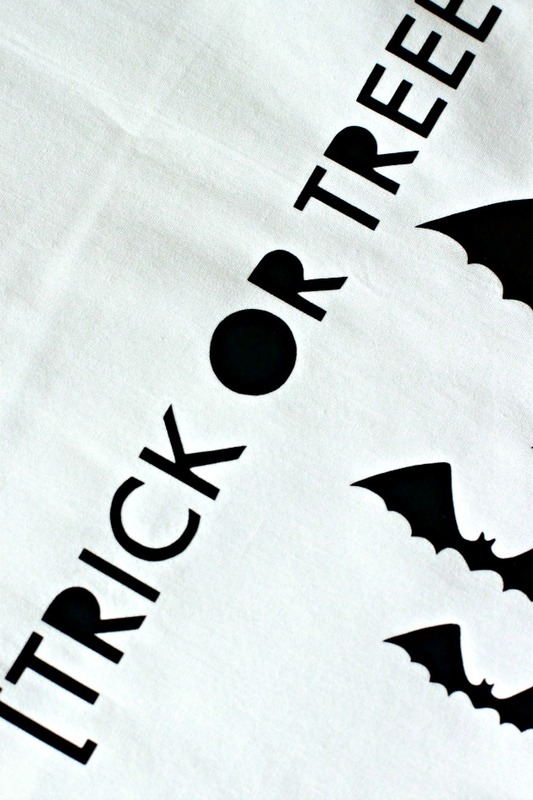 When I was growing up, my brothers and sisters and I could be found running around the neighborhood on Halloween dressed up and toting the pillow cases off our pillows. 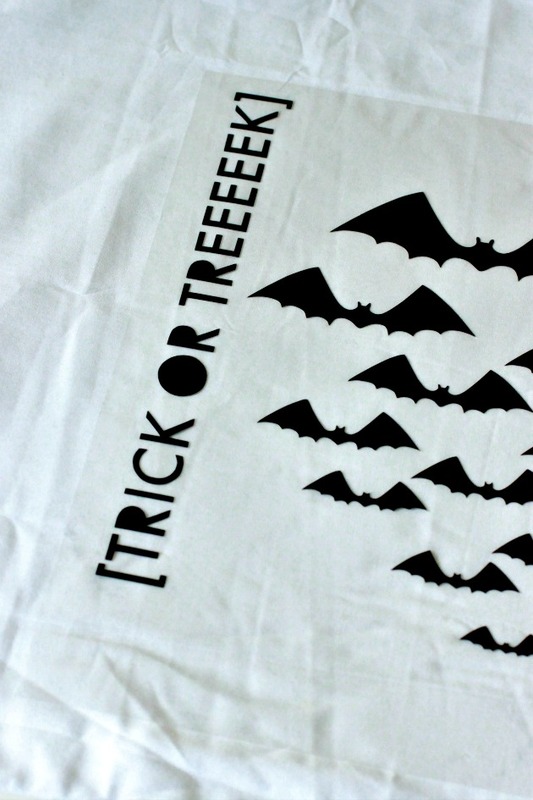 Pillow cases were the best things for gathering massive amounts of candy. We just threw it over our shoulder Santa Claus style. We were more than happy to just use the pillow case off our bed. I thought I could steal the pillow case idea, but amp up the cuteness just a bit. I decorated the front of the bag with heat transfer vinyl. 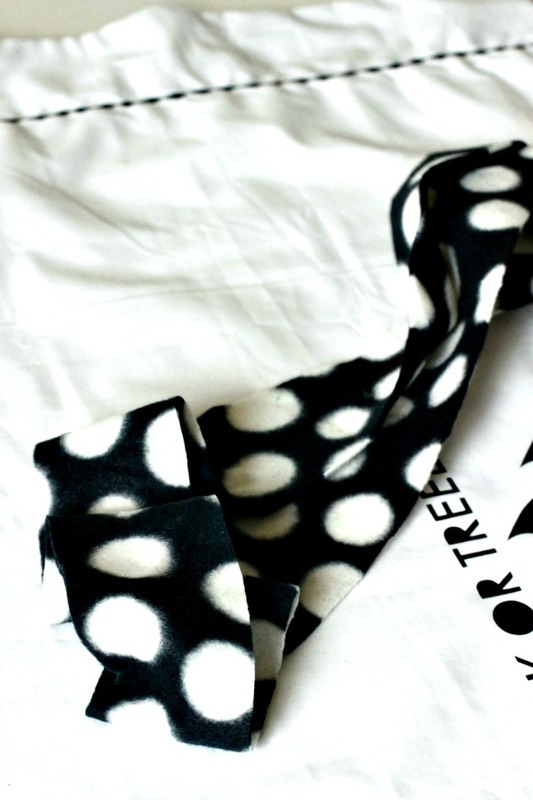 You could also use paint, fabric markers, or fabric. I made this image in Picmonkey. I saved it to my computer and then imported into my Silhouette software in order to cut the image from vinyl. 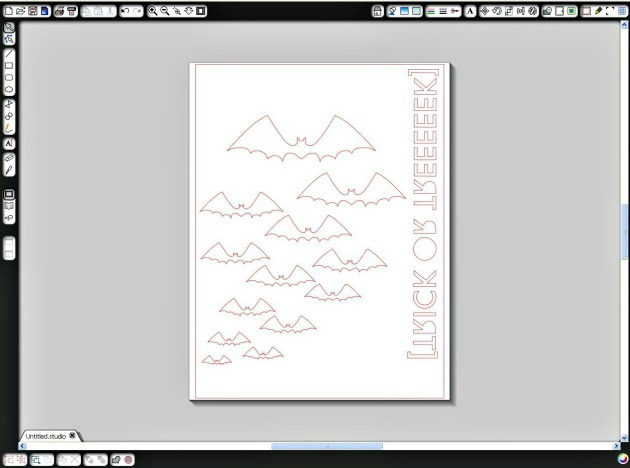 You could also print off the image and use it as a freezer paper stencil. 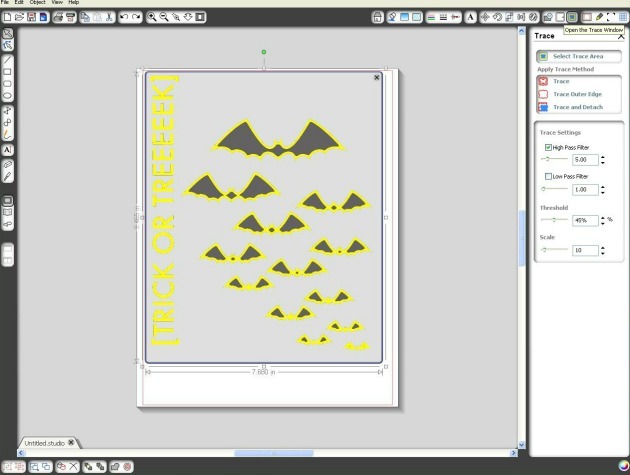 If you want to import the image into Silhouette, here is how you use it with vinyl. Import the image into your Silhouette files. Bring up the image. Select the trace function. 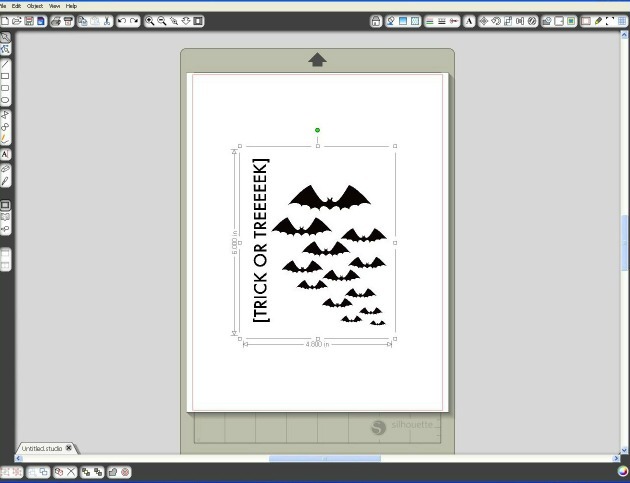 Then pick the Select Trace Area. Drag a box around the entire image. 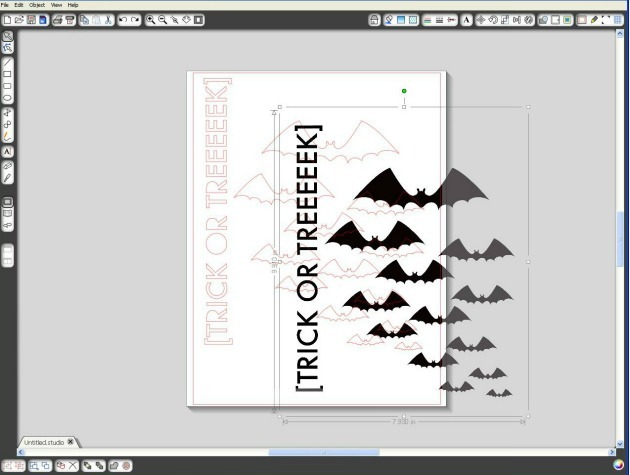 Then pick Trace Outer Edge. Drag away the original image and delete it. Before you cut anything in heat transfer vinyl you have to mirror flip the image. 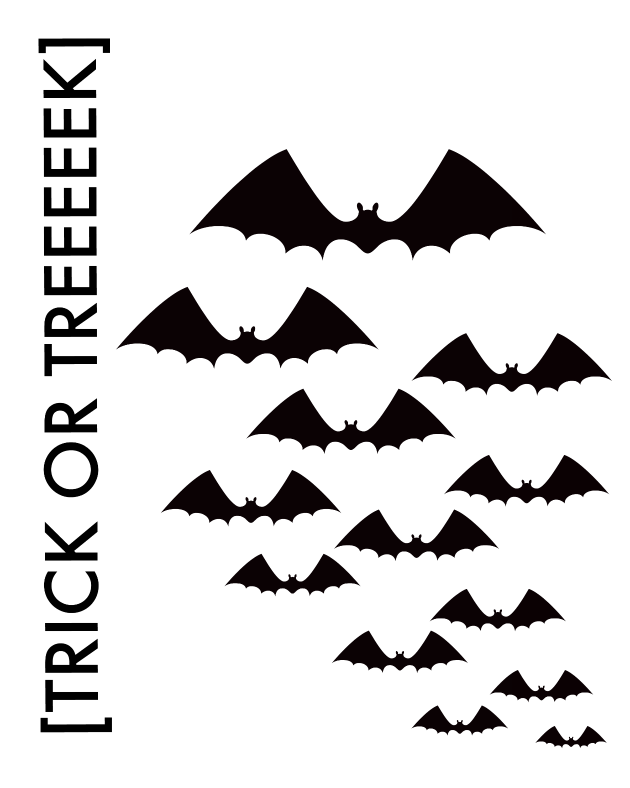 Cut out the image. Set it aside. 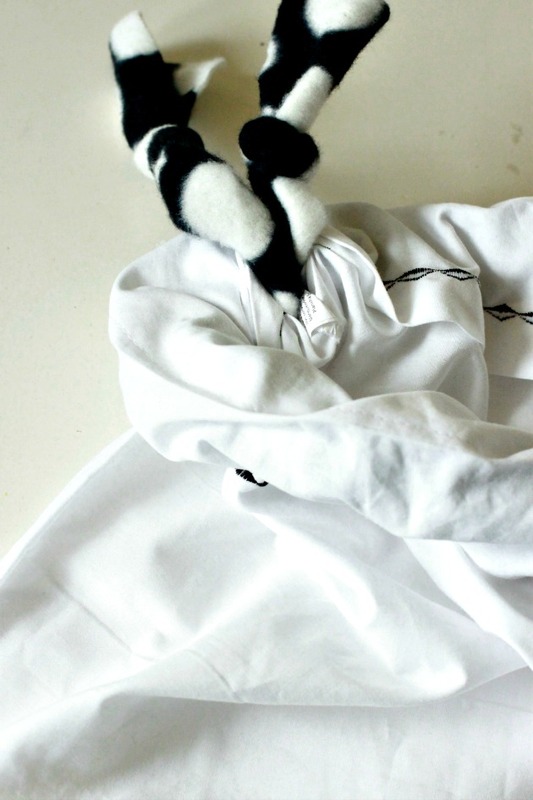 Now that we have the image ready, we can prep the pillow case. 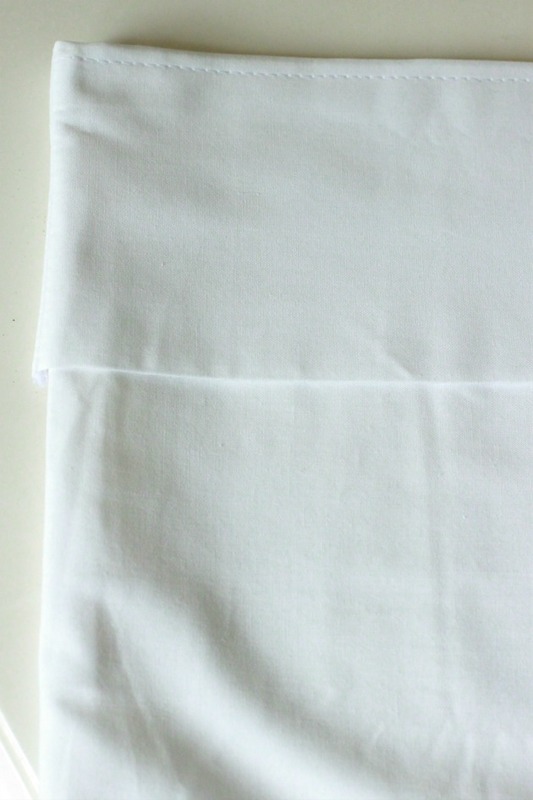 Fold over the top of the open end. Iron. 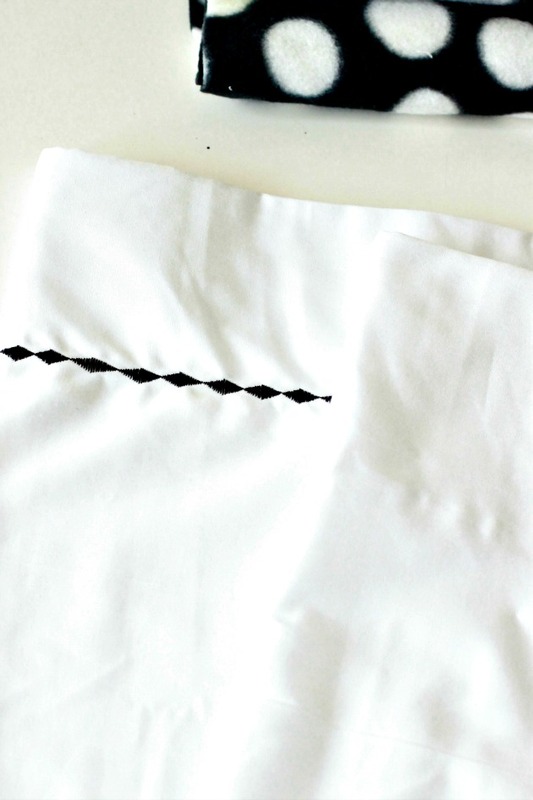 Sew around the hem, leaving an opening to thread through the fabric. I used a fancy stitch option but a regular stitch does the job. Pull off the negative of the vinyl. Iron on the image. For the bag tie, use a piece of fleece. I cut it to a 3 1/2″ by 52″ strip. Using a safety pin, thread through one end of the strip all the way around. Then thread the other end through the opposite way. Once both ends are through, knot the ends. Now you have a drawstring bag. 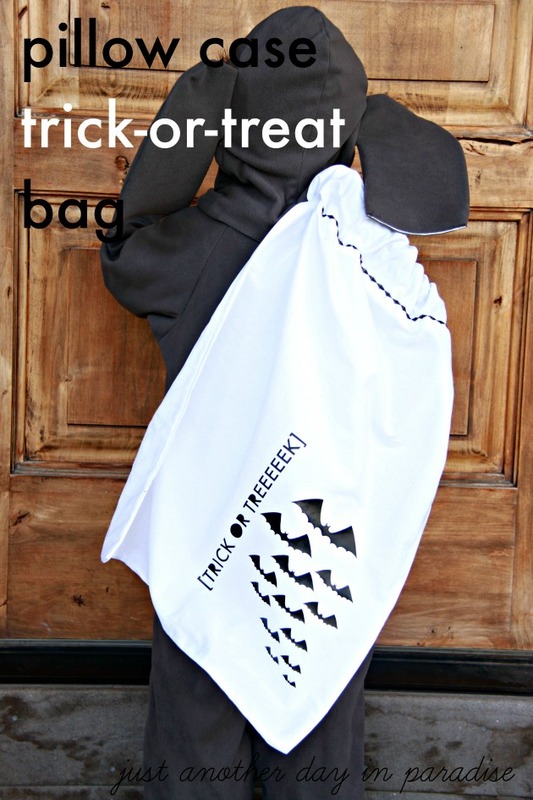 Not just any drawstring bag. 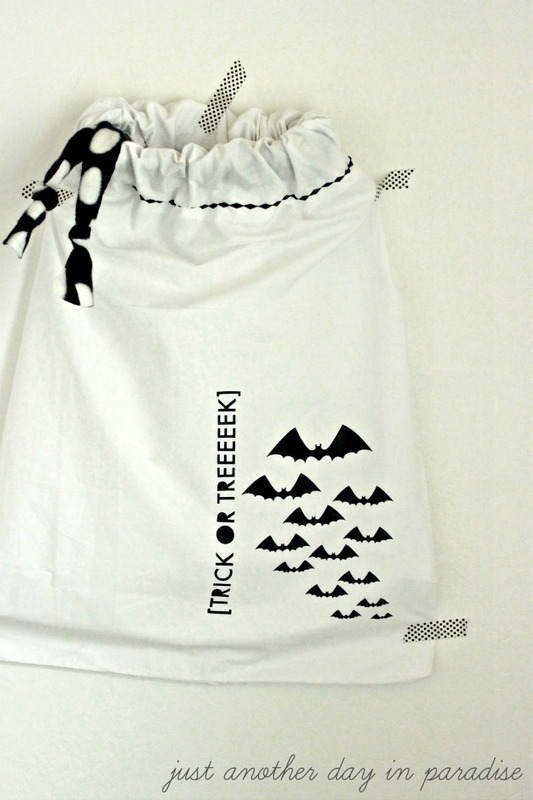 A really fun and perfectly festive Pillow Case Trick or Treat Bag. Super cute! Thanks for sharing your creativity! pinned!